I've written before about my Project333 experiment. I love it that their tagline is "experiments in living with less." The idea is that for three months, you live with only 33 items in your wardrobe. I found after three months of doing this that I really like the minimalist approach and want to continue. (Though I've learned my comfortable count is closer to 50 with shoes and accessories). As I crafted my "capsule wardrobe" for winter, it occurred to me to do a bit of research. Ever since I worked with a stylist I've wanted to repeat the experience, but the consulting fees have been out of reach--especially since you have to refresh periodically. 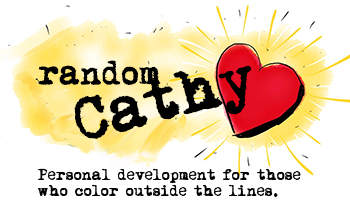 What I REALLY wanted was someone to teach me the skills I needed to "makeover myself" and I ran across DressingYourTruth.com. The course is based on dressing according to your energy type, and I was surprised in taking the course at how many of my own personal fashion myths were busted and how much better aligned the color pallet and fabrications assigned to me are to things I truly love. As I went through my wardrobe with an eye for color I was shocked by how much black I owned. In fact, the tone of the whole wardrobe was a stark, dark contrast from the colors I favor in my home or even on this blog. Which meant, I needed some new clothes. To make this a not-so-expensive endeavor, I took some of my light gray and tan items and dyed them with two packets of cocoa brown RIT dye in a washing machine. 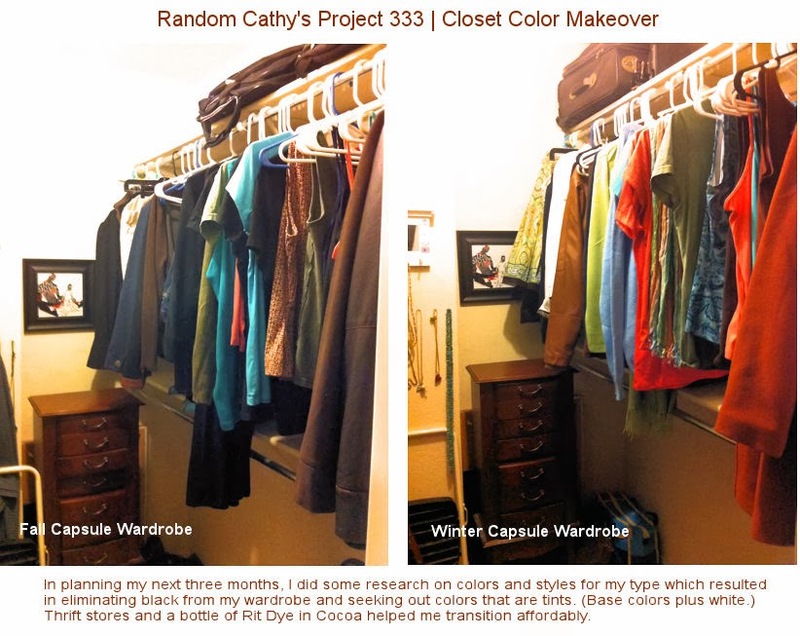 I also took my color swatches to a thrift store to replace many of the black items. There was a light blue sweater purchased on sale at Old Navy, a few items pulled from my under-the-bed box of kept from the start of the project and a jacket given to me courtesy of a friend's closet purge.